» Osprey’s Innovative Atmos AG 50 Review: The Most Comfortable Backpack? Osprey’s Innovative Atmos AG 50 Review: The Most Comfortable Backpack? In early 2015, Osprey announced the men’s Atmos AG 50, along with the Aura AG counterpart for women. A solid backpack can make the difference between a good trek outdoors and a grueling one. Confidence in your backpack’s ability to survive wear and tear for days on end while keeping you comfortable is paramount. For $230 (check this listing for the latest live prices), the Atmos AG 50’s sturdy build quality and excellent design provides that assurance. And although its weight and carrying capacity are admittable concerns, Osprey’s new Anti-Gravity suspension system offers unparalleled weight distribution that more than compensates for its minor drawbacks. Pack weight is an important consideration when choosing a backpack, especially if you’ll be using it in high-elevation, heavy-mileage trips where every pound you shed means a little more comfort. 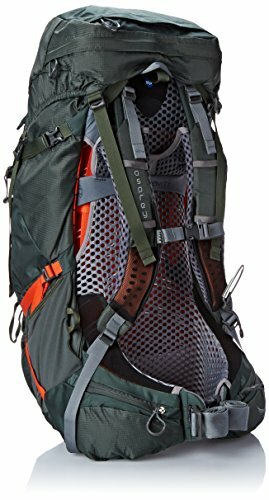 A common criticism of this pack is that its heavy weight (4 pounds*), may be too much for the maximum load its designed for (40 pounds). Heavier packs certainly exist, but they also typically have a greater carrying capacity. 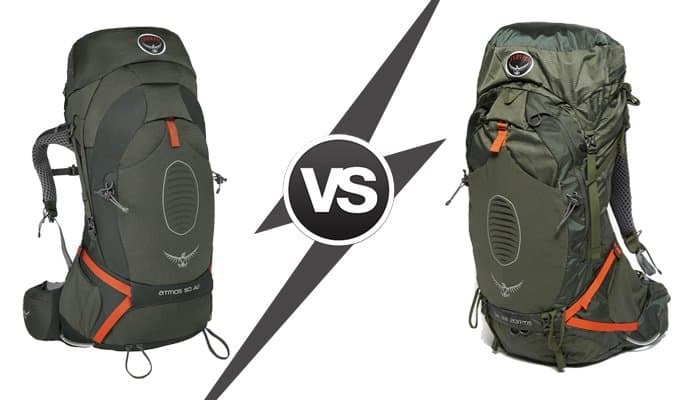 The Gregory Baltoro 65L and the Mountain Smith Circuit 3.0 are good examples of this. Thankfully, the pack’s saving grace is its Anti-Gravity suspension system, which makes the pack feel practically weightless, even when it’s fully loaded. This calls into question the longstanding backpacking philosophy that a lighter pack will inherently be more comfortable. *: The medium-sized Atmos weighs 4 pounds, compared to the 4.1-pound large and the 3.2-pound small. Both the Atmos and Aura AG 50 run for $230 (check this listing for the latest live prices)for all sizes. Osprey doesn’t distribute packs directly, but their products are offered through several online retailers like REI and Amazon. You can also use Locally.com to find a store near your location if you want to try it on before purchasing (strongly recommended). Find information on where to track the pack down on Osprey’s purchase page here. Given its load size (50 liters) and its dimensions (31in x 14 x 16), this is going to be a very bulky daypack. If that’s what you’re looking for, a good pack load will be closer to 30 liters, and even that will likely be more room than you’ll need. The power of the Atmos AG 50 lies in its ability to fit all your backpacking gear let you roam without minding the weight. Using it as a daypack ignores its true strengths. The new Atmos/Aura model comes in two sizes, the 50 and the larger 65. While many minimalist campers will assert that the 50 will be more than enough for most people’s needs, personal preference is important here. While it’s true that the 50-liter load size will likely be more than enough for multi-day backpacking trips, that might not be true if most of your trips will take place in low-temperature climates and you’ll be packing heavy to stay warm. If you’re a hunter or a guide, which means you’ll have more gear to worry about, a larger pack might be worth considering. For those unsure of their pack needs, one good practice is to compile all your backpacking gear, weigh it, then select the size of your pack based on that weight. One final consideration is that the AG 50 fits most airlines’ standards for carry-on luggage. You’ll be hard pressed to find a flight that will allow you to carry on an AG 65. The Atmos AG 50 comes in three colors: Absinthe Green, Cinnabar Red, and Graphite Grey. The Aura AG 50 comes in either Silver Streak or Rainforest Green. Not sure what size is right for you? Go to Osprey’s website to find their sizing guide. As mentioned several times already, this pack’s biggest strength is its comfort and weight distribution, and that’s thanks to the Anti-Gravity suspension system showcased in this generation of the Atmos/Aura. The AG system is comprised of four components: the suspension frame, the back panel mesh wrapping, the harnesses, and the hip belt. In a nutshell, the AG system is a mesh paneling that runs from the top of the back panel (neck and shoulders) down to the hip belt. So rather than the pack’s weight is distributed between a couple straps and belts, it’s being dispersed throughout the length of the pack. This ensures the pack’s frame conforms perfectly to each individual. The hip belt also contributes to the pack’s weightless feel. Its shocking ability to fit snugly around your hips—making straps all but unnecessary—is a landmark in custom-fitting technology. The mesh coating that outlines the AG 50’s litewire frame also serves as insulation to cool your back down, which is a big selling point for the sweaty-backed among us. Osprey first unveiled this mesh coating for better breathability way back in 1976, but the AG system goes a step further by integrating it into the suspension system. Removable Floating Top Lid: Able to extend to accept oversized loads, or it can be completely removed for lidless use, which is more weight-efficient. Flapjacket: provides compression and protection when the top lid is removed. Internal Reservoir Sleeve: located in the pack’s main body. Provides for quick access to a hydration reservoir and helps to balance weight distribution. Stow-On-The-Go trekking pole attachment: located on the front left end of the pack, this attachment allows quick placement of trekking poles while wearing the pack. Tool Attachment: Dual ice tool loops and clove hitch style bungee tie-offs allow for secure tool attachment. Compression straps: upper side straps stabilize pack loads, while the lower straps can also be used to carry gear externally. The internal compression strap offers further stabilization. Sleeping bag compartment: Lower zippered sleeping bag compartment separated from the main pocket of the pack by a removable divider. Osprey’s product guarantee is refreshingly straightforward: “Any product, any reason, any era.” Simply put, if you own an Osprey product, whether you purchased it last Tuesday or 40 years ago, Osprey will repair any damage or defect you find with it. If they can’t repair the item, they’ll replace it. If you’re the kind of person that prefers to invest in a product with a long lifespan, it doesn’t get much better than this. Personal preference and fit are too important to choose a product simply because of the brand, but it’s worth noting the build quality unique to Osprey. A small operation based in Colorado and Vietnam, every pack design the 41-year-old company has released passes through the hands of its founder Mike Pfotenhauer. Their commitment to environmental protection and sustainability is reassuring too. 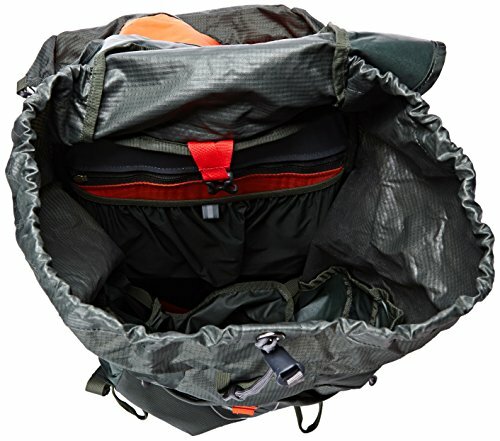 Are there more lightweight packs? Yes. Are there less expensive packs? Certainly, but if you’re looking at an Osprey, you’ve likely already accepted that the price is worth the investment in unmatched build quality. Focusing too much on this pack’s weight, carrying capacity and price overlooks the breakthrough technology that makes the Atmos AG 50 perhaps the most comfortable pack on today’s market. To truly appreciate the difference this makes, try one out to experience it firsthand.